When people find out that I am a landscape designer here in Vermont I always get asked one of two questions or sometimes both. 1. Can you come take a look at my yard? 2. What is your favorite plant? But this question has certainly made me think lately. 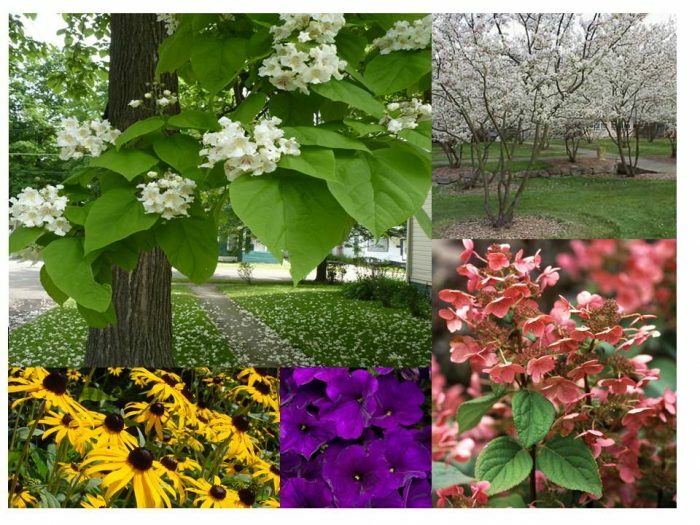 So for this month’s blog I decided to ask my fellow di Stefano Landscaping employees what some of their favorite plants are and why. It has provided some great onsite conversation and I got some great answers ranging from trees to house plants and some great reasons why they chose them. Some were chosen because they liked the form or branching patterns, for some it was the incredible fragrance or taste, some have fond memories from childhood, and others had no particular reason they just liked them. I have to say I have learned a lot about my co-workers and got to learn a little bit more about a lot of awesome plants! This deciduous tree has an irregular drooping habit and has an almost mounding form when mature. 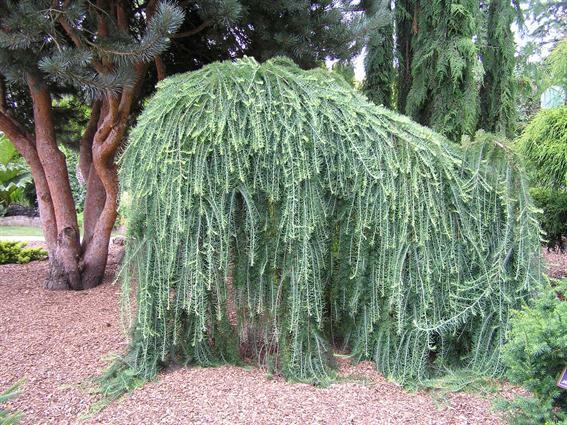 Branches are covered in fine green needles that grow in little tuffs and give a soft appearance to the plant. Larches have vibrant yellow color in the fall before they shed their needles for the winter. They do best planted in full sun and can handle moderately wet soils. 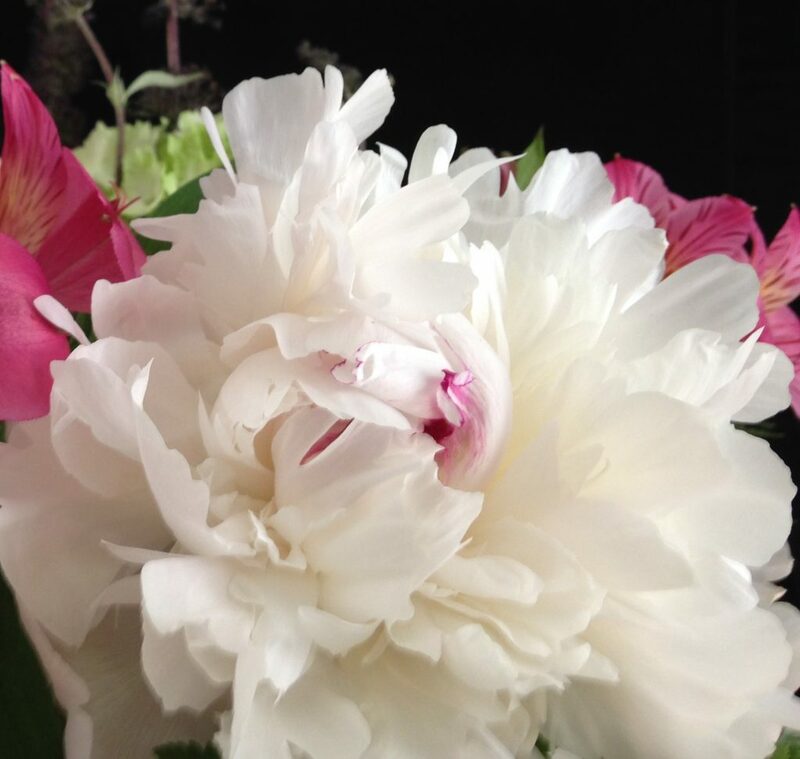 Peonies are among the most fragrant, beautiful and quintessential Vermont perennials. They are extremely long lived plants, which will thrive with little maintenance if planted correctly. They require full sun & well drained soils. Peonies grow best in cooler climates as they will only bloom well after the Winter chill. Once established they do not like to be transplanted, so be sure to choose wisely when planting them in your garden. At maturity they can be almost 3 feet in diameter. 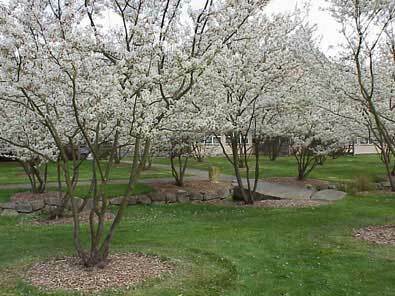 Amelanchier is a small native multi-stemmed tree that is one of the first things to bloom in the spring. It’s showy white flowers are present before the leaves emerge. Dark green summer foliage is offset by the dark purple edible berries. This small tree has beautiful fall color of oranges to red. The multi-stemmed smooth grey bark provides some winter interest as well. There are no serious disease or insect problems associated with this awesome Vermont native. Tomatoes are sadly an annual here in Vermont, but certainly a staple of the summer garden. Even one plant can produce an enormous amount of fruit and there are so many varieties to choose from. They should be planted in the spring after the last frost in full sun. By planting two-thirds of the plant in the ground, you will provide a stronger root system to help sustain the heavy fruit bearing plant. 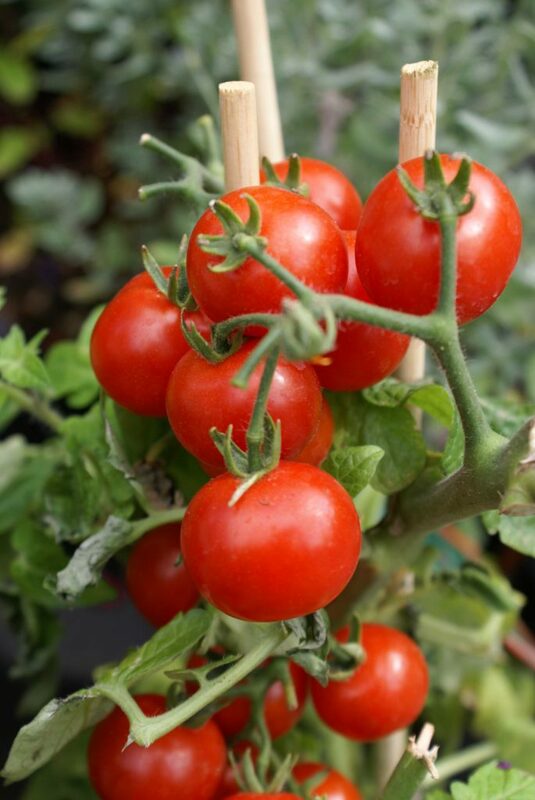 Tomatoes grow quickly and usually need to be surrounded by a cage or staked to help keep them up off the ground. Pruning away withered leaves and fertilizing throughout the summer will help these plants thrive. 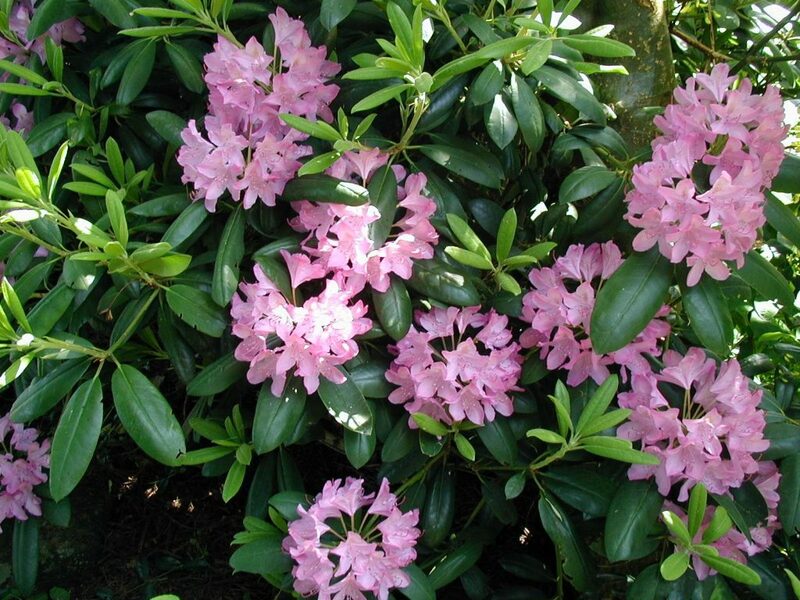 Rhododendrons are broadleaf evergreen shrubs with around 1,000 species worldwide. Their glossy deciduous looking evergreen leaves provide interest in the winter landscape. They bloom in spring with showy displays of whites to dark pinks. In Vermont they should be planted in a more sheltered portion of your landscape, they like more acidic soil than most plants and will need very little pruning if planted in the right place. Poppies are a short lived perennials that do well here in Vermont landscapes. They can be easily started from seed or you can purchase larger more established plants. They like full sun and well drained soils and can tolerate relatively dry conditions. 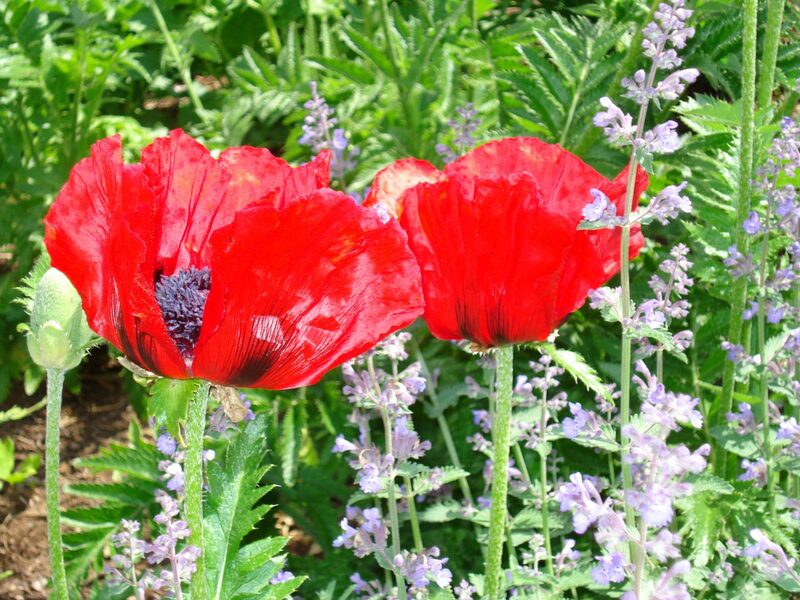 Poppies look best when planted in masses, but be sure to plant them in the back or amongst other perennials, as their foliage dies back to the ground after they have bloomed. 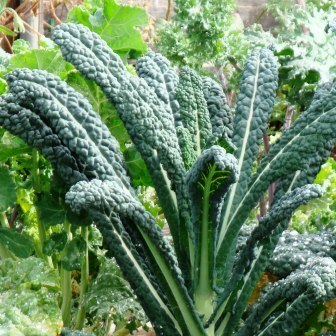 Lacinato Kale is commonly used in Italian Cuisine and is sometimes referred to as Tuscan Kale or Black Kale. It’s dark greenish blue heavily textured 2-3 foot foliage provide interest in both the vegetable garden and ornamental plantings. Thomas Jefferson incorporated this plant into his gardens at Monticello for this very reason. This versatile plant can be eaten on it’s own raw in salads and sautéed or can be added to soups, pasta dishes and stir-fries! Knock Out Roses were first introduced in 2000 and have quickly grown in popularity. They are a cold hardy, relatively disease resistant, heavy blooming rose. If pruned properly they will bloom from late spring until frost here in Vermont. 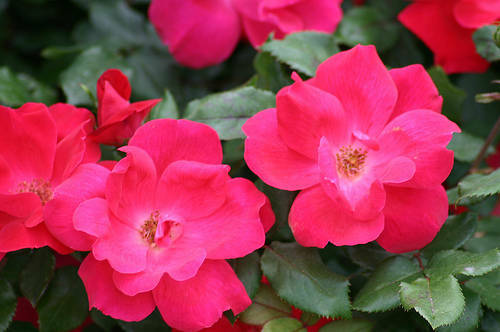 They have an unbelievable magenta red bloom that is long lasting and extremely fragrant. The Knock Out Rose family has expanded in the last 15 years to include a wide range of colors from reds to pinks and yellows. 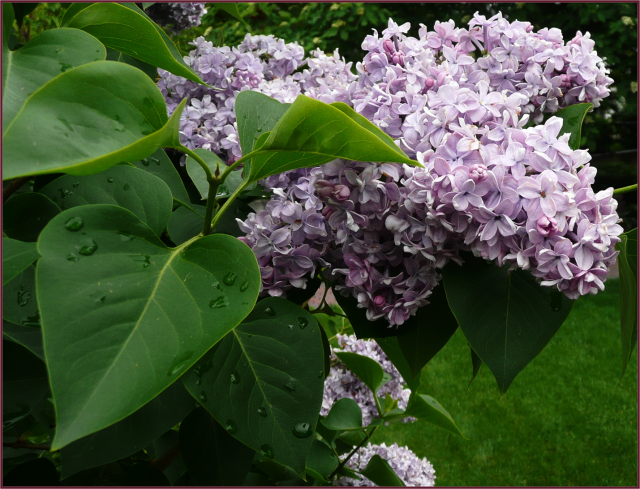 Lilacs are one of the most well-known Vermont shrubs, with it’s early spring blooms. There are more than 20 varieties of this hardy shrub in multiple shades of whites to light and dark purples. They have a fragrance that is unbeatable. Depending on the lilac variety it can grow from 5-15 feet tall. Lilacs should be pruned after they have finished blooming. Dead branches should be removed and you can cut back as much as a third of the plant, to promote new growth. 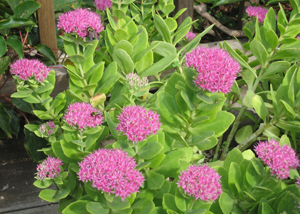 Sedum are perennials here in Vermont and have more than 600 varieties. These unique looking plants have succulent leaves and can range from groundcovers to 2 feet tall. They have a color range from light to dark green and dark maroon to purple foliage. Their tiny flowers range from yellows to pinks and reds. They should be planted in well drained soils and are a popular choice for green roof plantings because of their ability to tolerate dry condtions. Shorter varieties look great in rock gardens and taller one add texture and interest to perennial beds. 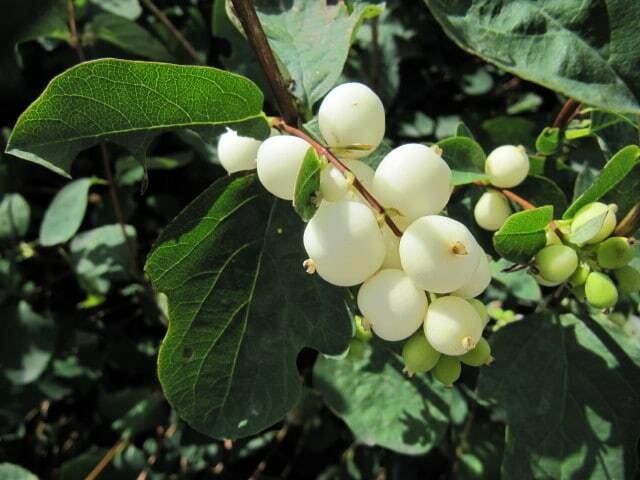 Snowberries are an oldfashioned deciduous shrub known for their white waxy berries. These shrubs provide an excellent source of food for birds, but are poisonous to humans. This shrub should be planted in full sun with well drained soils. They have strong root systems and are good for bank stabilization. This plant was actually found by Lewis and Clark on their westward expedition and sent back to the east coast. 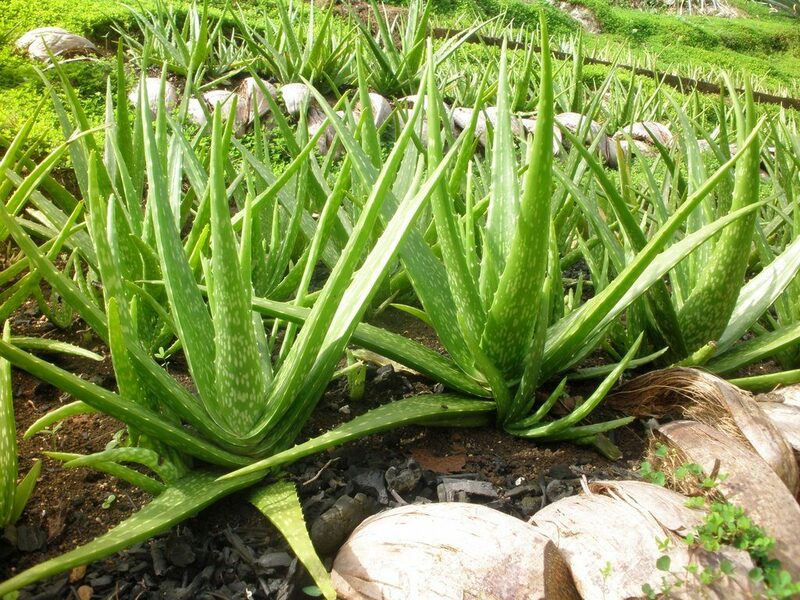 Aloe is a succulent plant that can grow up to 2-3 feet in the right conditions. It is sadly just a house plant here in Vermont. The fleshy rather thick leaves of this plant have rough white serrated edges. Aloe has been used for centuries for it’s healing and rejuvenating medicinal properties. 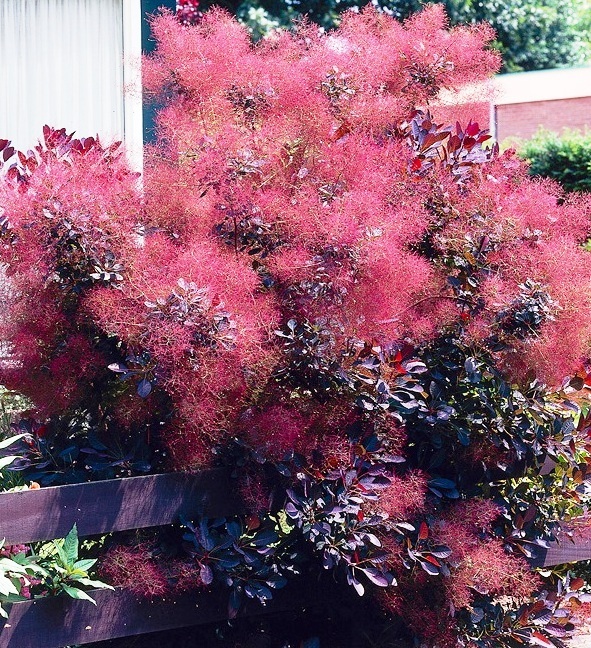 This unique large shrub can grow up to 15 feet tall. It is usually planted as a specimen when seen in Vermont landscapes. After the flowers have gone by long lasting fluffy smoke like seed heads appear, giving this plant it’s common name. They require little maintenance and do best when planted in moist/well drained soils in full sun. Their fall color becomes an even more intense crimson scarlet. This native Vermont Fern can grow up to 3’ tall and spreads rapidly. They have an almost vase shaped growing habit. 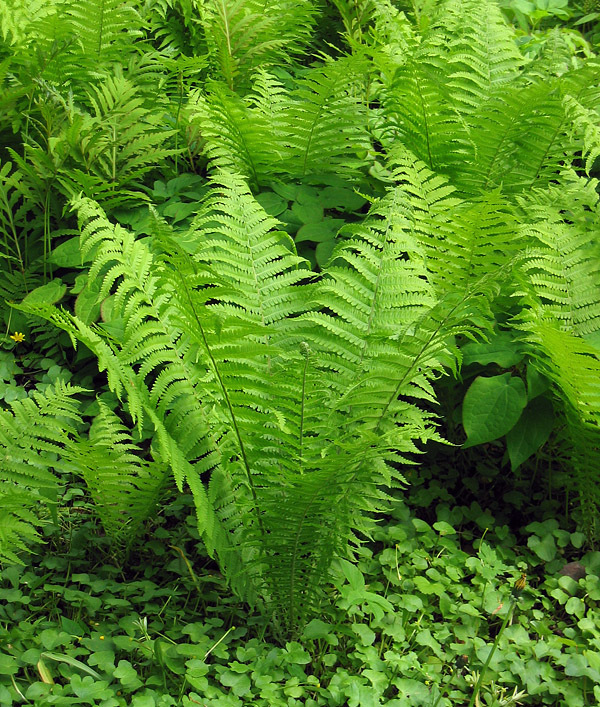 This fern takes time to establish when first planted and will thrive in damp shady portions of your landscape. The first fiddleheads that emerge in the spring are sterile and can be harvested for eating. If doing so be sure that you take only ½ the fronds as you don’t want to damage the plant. Many Vermonters look forward to having this tasty delicacy each spring either sautéed, steamed or stir-fried! 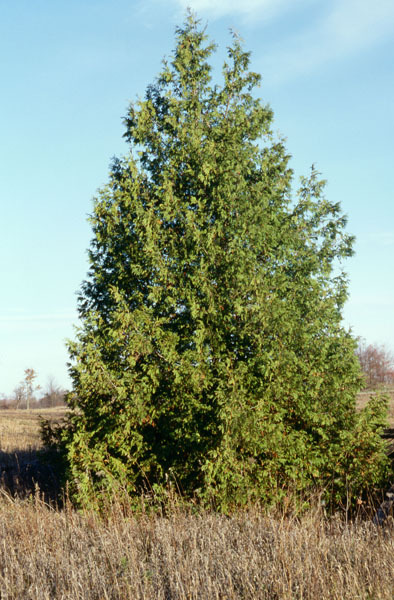 Eastern White Cedar also known as Arborvitae, is a native evergreen tree often used for screening and hedges here in Vermont. They are long lived plants that grow best in moderate to well drained soils in full sun. The Latin translation of Arborvitae means ‘Tree of Life’ and was named such for the plants supposed medicinal properties. Cedar’s rot resistant wood is often used for outdoor furniture and fences.